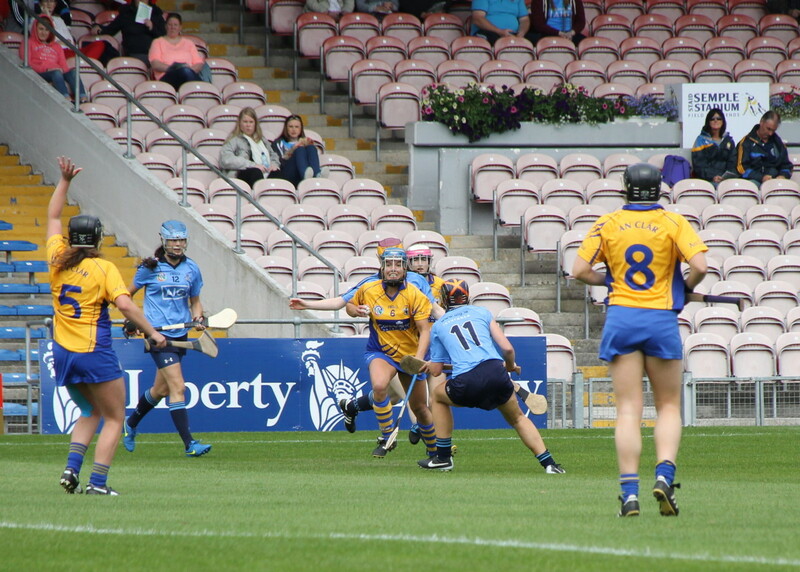 Clare’s participation in the 2015 Liberty Insurance All-Ireland Senior Camogie Championship came to an end for the second time this week as Dublin edged them out. In the eagerly play-off to determine who would secure the coveted final quarter-final spot it was the Dubs who came out on top with an early Louise O’Hara goal taking the wind from Clare’s sails at a time when they were completely dominating. Colm Honan’s charges raced into an early three point lead with over four minutes played. Eimear Kelly made the most of good passes from Kate Lynch and Emma O’Driscoll with the game’s first score while Chloe Morey capitalised with frees resulting from fouls on O’Driscoll and Aoife Keane. Dublin had to respond to this Clare surge as they were second best very early on. 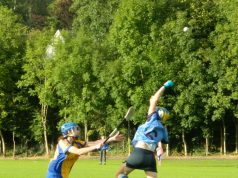 Their reply was the perfect one as a high ball from Siobhán Kehoe floated around the Clare danger area and several blocks were put in by the Banner defence but the break fell to Louise O’Hara who left netminder Denise Lynch with no chance as she fired to the back of the net. 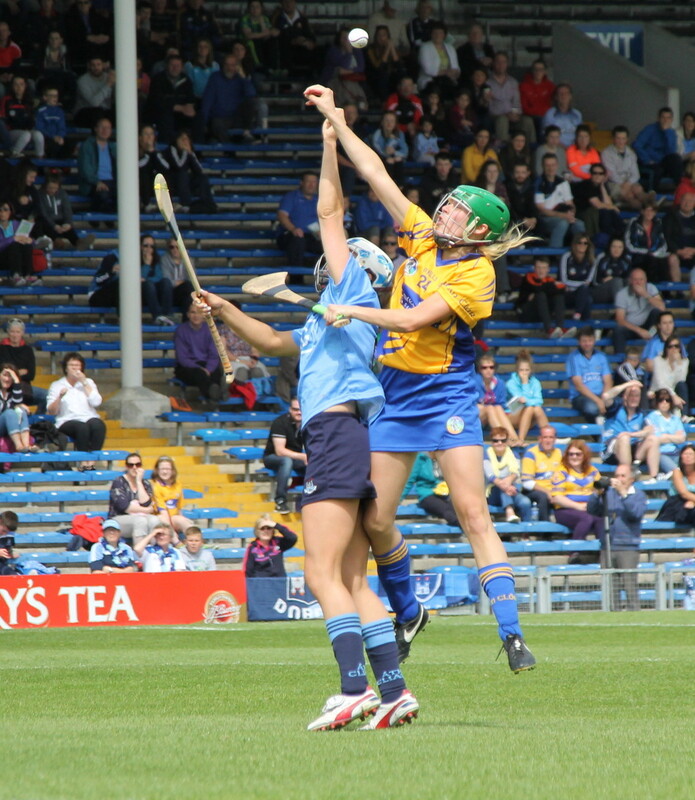 Centre-forward Sarah O’Donovan increased Dublin’s lead with a point after receiving an accurate pass from Laura Twomey. Áine Fanning opened her account on the tenth minute but her effort was cancelled out by an Emma O’Driscoll point. Naomh Fionnbarra’s Siobhán Kehoe won possession straight from a Clare puckout and picked up her first point of the tie after shooting from the sideline. Síle Nic Coitir pulled off a wonderful save on the seventeenth to prevent a thunderous ground stroke from Chloe Morey finding the net in what will arguably be the save of the Championship. This seemed to drive the Banner on to hit more scores and that they did with three points in as many minutes. 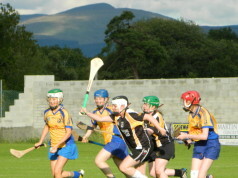 Morey was on target with a free and she set up Emma O’Driscoll with a classy handpass before the Kilmaley woman split the posts while Aoife Keane pushed Clare in front with a strike off her left side after getting a nice pass from clubmate Clare Hehir. An over the shoulder strike from Aine Fanning levelled matters on the twenty first minute but Morey regained the lead for Clare with a free a minute after. Inagh/Kilnamona’s Clare Hehir was dispossessed on a long solo run and the sliotar fell to Laoise Quinn who raised a white flag to ensure the sides were level at the break. Substitute Aisling Maher gave Dublin the lead six minutes into the second half after taking on the Banner defence before hitting over Denise Lynch’s crossbar. Chloe Morey and Alison Maguire traded scores from placed balls and a further free from Morey twelve minutes in had the sides deadlocked once more. Shane O’Brien’s Dubs pushed back in front with a point from Siobhan Kehoe off her left-hand side after finding herself with some space to manoeuvre. 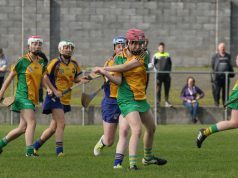 Maguire added a free on the seventeenth minute but Clare responded with a point from Andrea O’Keeffe after she received a through ball from Naomi Carroll. 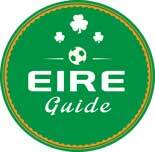 2012 All-Star Chloe Morey equalised with a free on the twenty second minute after Naomi Carroll was fouled and referee Cathal Egan opted not to give Clare advantage when they had a goal opportunity deciding instead to award the free. Alison Maguire replied with a free to push the Dubs back in front. Clare had a chance to draw level but an Andrea O’Keeffe shot fell just wide. Down the other end Aisling Maher added her second point to secure Dublin’s place in the quarter-finals. One of the key reasons Dublin came out on top was their ability to win the breaks. Coupled with that, they caught ball in the air which ensured they held on to possession while Clare didn’t win as much aerial ball. Shane O’Brien’s side really benefitted from fresh legs with Aisling Maher’s two points proving the difference between the sides, Dublin made four changes over the hour while Clare made one substitution. Next up for the Dubs is a quarter-final clash with Wexford this Monday. 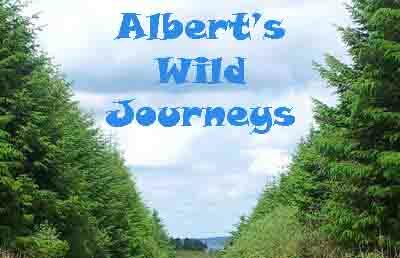 While they have little time to recover they have serious momentum behind them at this stage and this will really spur them on. Síle Nic Coitir kept Dublin in the Championship with a fantastic save while Rose Collins, Siobhán Kehoe and Miriam Twomey were prominent over the hour. 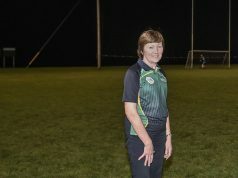 An injury sustained in action for the Clare Ladies Footballers on Friday night ruled Ailish Considine out of this crunch tie and one would really have to question how both associations can justify how they expected four players to possibly play three games in ninety six minutes. 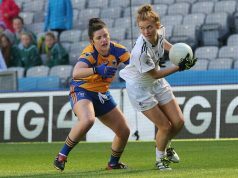 Emma O’Driscoll and Aoife Keane also featured for the footballers and they didn’t have the energy in the tank that was required when the game was in the melting pot as a result. When it came to games against the big teams in this year’s Championship, Clare have failed to score goals and in order for the team to progress they need goal scorers. Clare’s tackling was poor as when Dublin ran at them, they didn’t have a method of tackling that could stop them or if they did it didn’t adhere to the rules of the game. There is reasons to be hopeful as a number of young players stepped up to the mark this year. On the day Andrea O’Keeffe, Kate Lynch and Roisin McMahon did best for Clare. Camogie was the buzzword of the week with the topic trending on Twitter last Wednesday. However for all the talkers on social media, their voices were nowhere to be heard in Semple Stadium as Dublin had way more support than Clare and it showed during the game. While both teams will acknowledge all the Tweets and Facebook posts, nothing beats hearing the crowd behind you in a do or die Championship game. Clare didn’t hear it and it is one of the reasons they died. Dublin; Síle Nic Coitir (Ballyboden St Enda’s); Caitriona Power (Naomh Mearnóg), Rose Collins (Naomh Bríd), Aisling Carolan (St Oliver Plunkett Eoghan Ruadh); Elaine O’Meara (Na Fianna), Alison Maguire (Naomh Uinsionn) (0-03 2f 1’45), Laura Twomey (Naomh Mearnóg); Miriam Twomey (Naomh Mearnóg); Miriam Twomey (Naomh Mearnóg), Orlaith Durkan (Skerries Harps); Louise O’Hara (Erin’s Isle) (1-00), Sarah O’Donovan (Naomh Uinsionn) (0-01), Laoise Quinn (St Oliver Plunkett Eoghan Ruadh) (0-01); Siobhán Kehoe (Naomh Fionnbarra) (0-02), Áine Fanning (Naomh Uinsionn) (0-02), Emma Flanagan (Lucan Sarsfields). 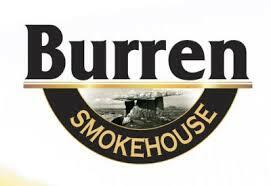 Subs: Aisling Maher (Naomh Uinsionn) for Flanagan (HT), Martha O’Donoghue (Ballyboden St Enda’s) for Durkan (34), Ali Twomey (Lucan Sarsfields) for O’Hara (58), Aoife Bugler (St Oliver Plunkett Eoghan Ruadh) for Fanning (58), Mairi Moynihan (Lucan Sarsfields) for O’Donovan (61). Clare; Denise Lynch (Kilmaley); Aoife Griffin (Newmarket-on-Fergus), Carol O’Leary (Newmarket-on-Fergus), Emma O’Connell (Ballyea); Kate Lynch (Kilkishen), Orlaith Duggan (Clooney/Quin), Clare Hehir (Inagh/Kilnamona); Roisin McMahon (Newmarket-on-Fergus), Maire McGrath (Sixmilebridge); Andrea O’Keeffe (Inagh/Kilnamona) (0-01), Eimear Kelly (Truagh/Clonlara) (0-01), Emma O’Driscoll (Kilmaley) (0-02); Naomi Carroll (Sixmilebridge), Chloe Morey (Sixmilebridge) (0-07 7f), Aoife Keane (Inagh/Kilnamona) (0-01). 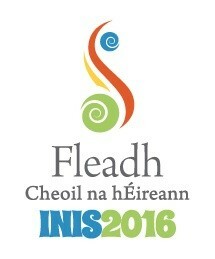 Sub: Amy Keating (Inagh/Kilnamona) for Kelly (HT).